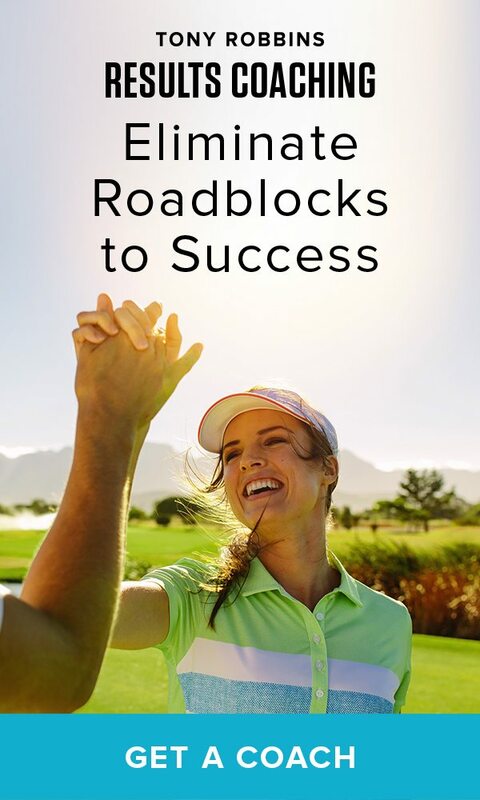 Tame your emotions and eliminate roadblocks to success. We all have self-imposed limits we’ve placed on ourselves. Emotions that tell us “I can’t do this because of that”. But we rarely realize the extreme impact these negative beliefs and emotions have on our lives. We don’t realize that a failure to master emotional control can make us a chokehold to our own success. In 2012, Sophie’s stuttering and limiting beliefs became so debilitating that she recorded her 2012 acceptance speech. A video of only 6 minutes and 32 seconds that took Sophie over eight hours to record. She tried everything from speech therapy to physical therapy to psychotherapy, but to no avail. Finally, Sophie decided enough was enough — she needed an effective solution. For eight months she worked alongside a Tony Robbins Results Coach and saw tremendous changes. Sometimes it just takes a different perspective to change your life. The first thing Sophie’s Results Coach told her was that stuttering was not a physical limitation to suffer with, instead it was a mental belief she had reinforced overtime. An emotion she could learn to control. If Sophie was able to master her emotional control, she could overcome her stutter — and she did. After just eight months, Sophie learned how to change her focus, control her emotions and transform limiting beliefs into empowering ones that serve her. With a new empowering identity in place, Sophie’s next speech took only 4 minutes and 15 seconds – no takes and speaking without a hitch! Have you ever felt limited by your beliefs or circumstances? What if you had the tools to reshape those limiting beliefs and create new empowering beliefs to transform your life? It’s easy with a Tony Robbins Results Coach in your corner that knows the importance of emotional control and mindset to achieve lasting success. Get started today with this 5 step guide to emotional mastery or try a 30-minute coaching session to finally reach your next level of success.